The driver of a Ford Fiesta was trapped when there was a collision with a van. 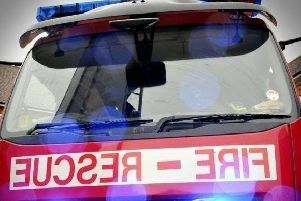 Fire and Rescue crew were on hand to free the woman, along with ambulance and police at the incident on Park road at 11.30am Wednesday, September 30. The woman was taken to Queen’s Medical Centre Hospital in Nottingham to be checked over.